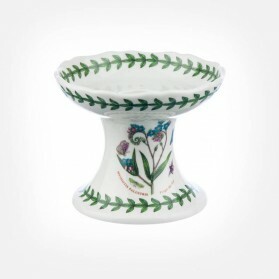 Candlestick (Candle Holder) There are 9 products. 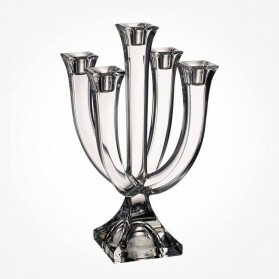 Candlestick candle holder is a holder for one or more candles, used for illumination, rituals, or decorative purposes. 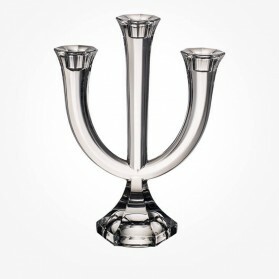 Candlesticks are erroneously called "candlestick holders" by those who mistakenly think that candles are properly called candlesticks. 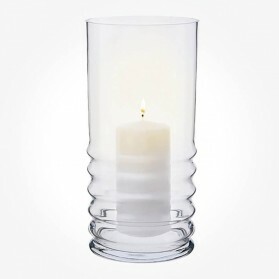 We have a variety of Candlestick or candle holder to suit any style for perfection such as the number of arms, from simple to more decorative design, from conventional to contemporary so make a perfect selection to your place and any party events. 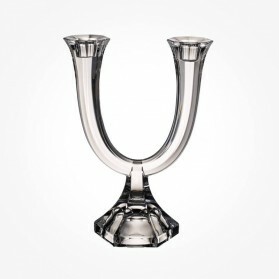 There are several kinds of materials in the past but at present time glass/Crystal and Porcelain are primarily used for candlestick by most of the manufacturers. 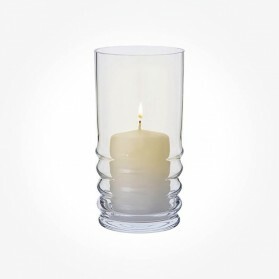 Simply decorating your dining table, shelves in the library room, any place at home with beautiful candlesticks will give you romantic mood as well as take your stressful day away. 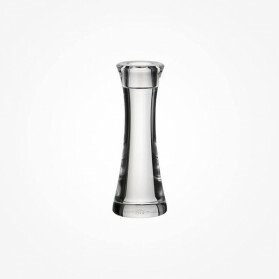 We stock best quality and collection of candlesticks so find out what you are looking for here at Chloris Tableware. 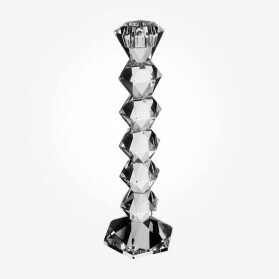 Elegantly shaped crystal candlestick with three arms, this three arm candelabra is produced from lead crystal, and four-sided trim throughout. Both U-shaped hands branch out type the stable base, crowned by the third centre arm. 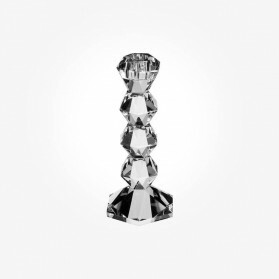 Ideal just as a centrepiece.